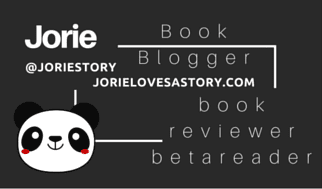 Book Blogger | Book Cheerleader ‘proudly hosting’ where you can click on the badges per blog touring company and/or publisher I regularly host on Jorie Loves A Story. You will be visiting their websites and getting to know a bit more about the stories I love to read. I am electing to cross-post certain book reviews to my Riffle Lists at my discretion. I updated my Review Policy to this effect where you can learn more. *NOTE*: IF you see “Interview or Q&A”, I have submitted Questions of which have been responded back with personal answers of the person I am interviewing. Likewise, Guest Posts are given a topic to discuss of my choosing. Will be reading several novels ahead of “The Iris Fan” via ILL (inter-library loan) in order to get a feel for the series as a whole. The first book in the series “Shinju” was available to borrow locally however, I put in requests for the following: “The Incense Game” and “The Shogun’s Daughter” to understand the sequences ahead of when “The Iris Fan” take place as this is a series of 18 novels once “The Iris Fan” is released! I try to stay mindful of series and read previous installments as time allows when hosting blog tours. EXPANDED REVIEW : forthcoming! Novel received 2 February 2015! Will be reading the first novel of this 17 book series, “A Test of Wills” as well as “Proof of Guilt” which was the very last mystery prior to “Hunting Shadows”. As keeping with my own personal edification, I like to know how a series begins as much as to be in step with where the last book has left off. I do this in case due to time constraints I cannot read a series in full which is past 5 books in total. I hosted both an interview & a book review for HFVBTs whereas I am now hosting her with France Book Tours. Quite happily Ms. Rose hosts for both touring companies & I am thankful to have had the chance to host her twice just shy of a year! I recently had blogged about Cosy Historical Mysteries (in late 2014) wherein I had mentioned my intention to read the Maisie Dobbs series as much as my desire to read the Phyrne Fisher series! Imagine my overwhelming surprise to realise one of the next Maisie Dobbs was being offered on tour!? Therefore, I am reading as many books prior to this one as I can through my local library and ILL services! Staring with the very first entitled: “Maisie Dobbs”! Blog tour cancelled : 6th February 2015 | I still intend to start reading Maisie Dobbs! My original tour stop was scheduled for 16th April. Shortly after the blog tour was cancelled to become a readalong, of which I wanted to participate but the dates were conflicting with my schedules, the blog tour was re-scheduled for March. I hosted both an interview & a book review for HFVBTs whereas I am now hosting him with France Book Tours. Quite happily Mr. Gortner hosts for both touring companies & I am thankful to have had the chance to host him twice within only a handful of months! 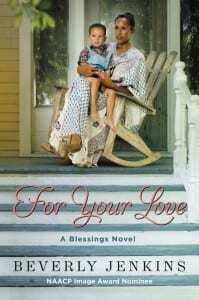 Will be reading the first novel via ILL (inter-library loan) as I missed hosting it this past Spring 2014. I had the option to host “What is Hidden” but I knew I could only pick one for that particular week. I elected to host “Uncovering Cobbogoth” and that story changed my world! It was beyond epic and incredibly layered! I knew I would go back and read “What is Hidden” on my own but when this came up for a tour, I felt it was kismet! I will be reading the first novel “Murder as a Fine Art” in the Thomas De Quincey Mystery series as I appreciate knowing what sets the scene for each new installment of a book series. I was intrigued by this series before it was offered to me and finding myself on the tour after I had already added it to my Riffle Next Reads List for Winter 2015 was quite wicked indeed! As A Murder at Rosamund’s Gate was on my TBR List for quite some time, I was most intrigued to begin reading this series! I ILL’d the first novel whilst turnt in a purchase request for the second, whilst reading the third for this blog tour. I was quite happy to finally make my acquaintance with Calkins! *won a bookaway via Shelf Awareness for Readers & joined the blog tour as a note of gratitude to the publisher for sending the book book haste! Joined the final day of the blog tour within two or three days of needing to read and post my review! It is by far the fastest I’ve attempted to join a blog tour! | Author Interview | *booked in January 2015 — my review of this cookbook has been postponed until the print copies are mailed in May. Therefore, a lovely conversation will come ahead of my review in April where I happily connected with the author! Previously I reviewed Krupa’s debut novel Safe & Sound and hosted a live author event where readers could drop-in and ask questions of Ms Krupa. | Featured Review | *booked in November 2014 w/ the author! I encourage you to follow the tour to find out about this lovely cookbook! The book arrived by Post on 2 February, 2015! Posting my review to hug underneath “Daily Tortilla” in order to draw readers and visitors who are seeking a new cookbook to potentially taking an interest in reading my thoughts about this one at the same time as the other book on tour. *booked in April 2015 when iRead Book Tours found me via my review on behalf of C.W. Gortner’s novel bout Coco Chanel! I was most delighted as I love reading non-fiction with a purpose and sentiment as expressed in the premise of “Life Outside the Box”! Truly extraordinary! | Author Interview | *booked in March 2015; held over since 5th of June! | Featured Review | *first Dark Fantasy I loved! | Featured Review | *booked in November 2014 | Posting my review off-tour due to illness and personal stress arising during the week of the blog tour. I simply ran out of time – whilst I was reading this book series back-to-back without breaks – including over 35+ straight forsaking sleep! I became so very attached to the characters and the world-building Ms Czerneda created for us to dissolve inside. My reviews of the last three (then published) novels of The Clan Chronicles will resume Spring 2016. [April Requests] view my ChocLit Next Reads List on Riffle! *not yet released in USA; first three arrived by Post 14.3.15! planning my next ChocLit surprise! All writing and content on this blog is of my own creation, unless otherwise attributed and/or sourced. 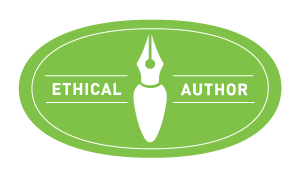 No unauthorized use and/or duplication of writing or content without permission of blog author and owner is prohibited. All Rights Reserved. Copyright © Jorie Loves A Story, 2013-2018.